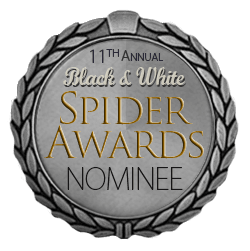 Thrilled to have two of my images given honourable mentions and four other images achieve nominee status in the 2016 Black & White Spider Awards. The photograph was made using an Olympus OM-D E-M1 and Olympus M.Zuiko 40-150mm f2.8PRO lens, processed in Adobe Lightroom and Nik Software Silver Efex Pro. The photograph was made using an Olympus OM-D E-M5 Mark II and Voigtlander Nokton 17.5mm f0.95 lens, processed in Adobe Lightroom and Nik Software Silver Efex Pro. The photograph was made using a Leica M Monochrom (M246) and Leica 35mm Summilux ASPH (FLE) lens, processed in Adobe Lightroom and Nik Software Silver Efex Pro. As always, I’m most thankful for those who allow me to immerse myself into their lives and photograph a segment of their being. The exceptionally talented musicians from the Royal College of Music and the amazing dancers on the South Bank; thank you all. Young & Rubicam, Lima; and Anthem Worldwide/Marque Branding, Sydney. Extremely happy to share that two of my images have been awarded “Marks of Excellence” in the I Shot It Photo Competition. The first image is a street photograph, taken whilst walking around Fleet Street and The Strand after being subject of a photo shoot, in a project on The Photographers of Fleet Street. Judges Comment: This could be a portrait, a magazine photo or a street photo. The unusual crop that allow the viewer to see more than just the alley lifts the photo to being a photo from a time period as well. Yet, everything leads to the person walking, and that is what makes it work and sets the atmosphere. The second is an image taken of some British gentlemen out for a summer saunter. During the walk of several miles, the group popped into an art gallery and this image presented itself. Judges Comment: This could be the artist or just a fashionable guest at a gallery. The composition tell a story of a man, a piece of art and a city outside in one photo, elegantly framed with light and shadow. Well done! Very happy to share that my portrait of legendary Magnum Photos photographer René Burri has been awarded a Mark Of Excellence by the judges of the I Shot It competition. 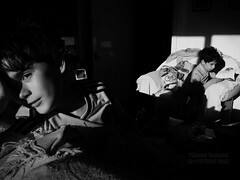 The judges commented, “Great style and a portrait ‘in motion’ that might be one of the best of the person. Simple and informal, yet very formal and iconic. Who wants to be photographed in a studio if you can get a photo like this by simply sitting down for a moment?”. I’m delighted to share this good news! Whilst on assignment on London’s South Bank I came across this gorgeous old Ford pickup truck and couldn’t resist photographing it; very happy that I did! The rusty pipes and concrete really added to the feel of the image as did the single overhead light. 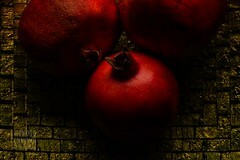 The image was shot on my Leica M9 and Leica 35mm Summilux ASPH (FLE). LOS ANGELES (February 19th, 2013) – Professional photographer Edmond Terakopian of the UK was presented with the 6th Annual Photography Masters Cup Nominee title in the category of Americana at a prestigious Nomination & Winners Photoshow. The live online ceremony webcast Saturday, February 16, 2013 was attended by photography fans in 86 countries who logged on to see the climax of one of the industry’s most important events for color photography. 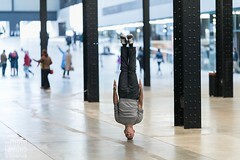 The awards international Jury included captains of the industry from Phillips de Pury & Company in New York; Kunst Licht Gallery, Shanghai; XPO Gallery, Paris; Tasveer Galleries, India; BFN, Netherlands; to BBH in London who honored Color Masters with 239 coveted title awards in 18 categories. INTERNATIONAL COLOR AWARDS, PHOTOGRAPHY MASTERS CUP is the leading international award honoring excellence in color photography. 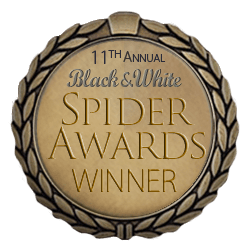 This celebrated event shines a spotlight on the best photographers worldwide and honors the finest images with the highest achievements in color photography. http://www.photomasterscup.com.